Toyota - I Say Ding Dong Shop - Buy Stickers, Decals & Unique Automobilia. Japanese Automobile Federation JAF Window Sticker. 3.25". Rusty But Trusty Shaped Rust Style Sticker. 3.5" or 5.5". 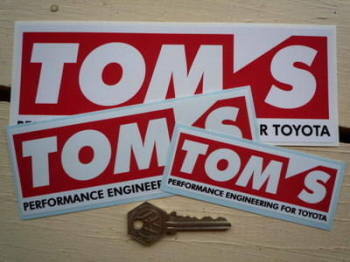 Tom's Performance Engineering For Toyota Stickers. 4", 6" or 8" Pair. Toyota & Castrol World Rally Championship Team Sticker. 6". Toyota Celica GT4 1991 Monte Carlo Rally Winner Lick'n'Stick Window Sticker. 5". Toyota Celica GT4 1991 Monte Carlo Rally Winner Sticker. 7". Toyota Celica Turbo 1993 Monte Carlo Rally Winner Sticker. 7". Toyota Japan Style Stickers. 2" Pair. 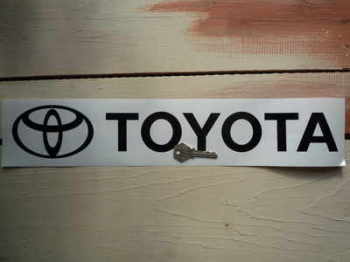 Toyota Motor Corporation Black & Clear Stickers. 2.75" Pair. Toyota MR2 Screaming Chicken Gold Workshop Wall Plaque. 6" or 9.5". Toyota Parking Only. 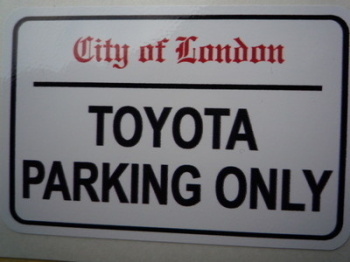 London Street Sign Style Sticker. 3", 6" or 12". 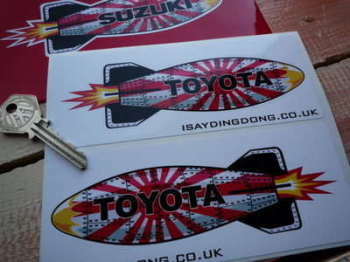 Toyota Shaped Torpedo Stickers. 6" Pair. Toyota Text & Logo Cut Vinyl Sticker. 18". Toyota TRD Racing Developement Sticker. 10". Warning DOT 5 Silicone Brake Fluid Sticker. White. 3".